In celebration of StarWars.com's 20th anniversary, members of Lucasfilm past and present tell its story. 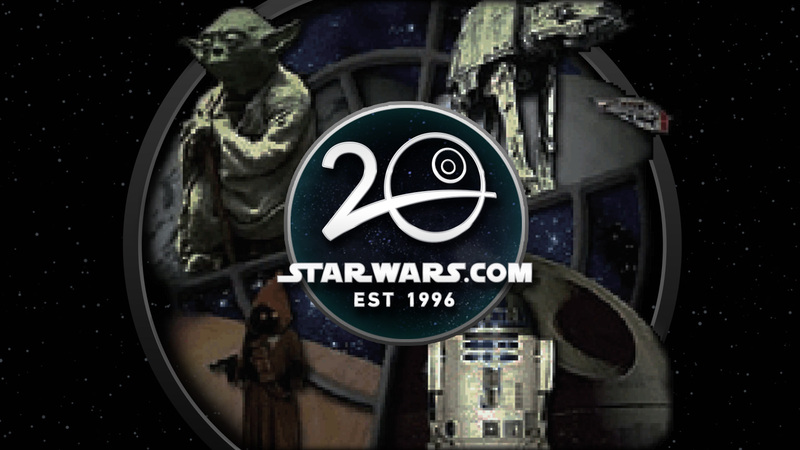 November 26 will mark the 20th anniversary of StarWars.com. It’s somewhat hard to believe, considering the site originally launched in support of the Star Wars Trilogy Special Edition — itself a celebration of Star Wars’ same milestone. Over the years, StarWars.com has evolved in terms of content, size, and features. 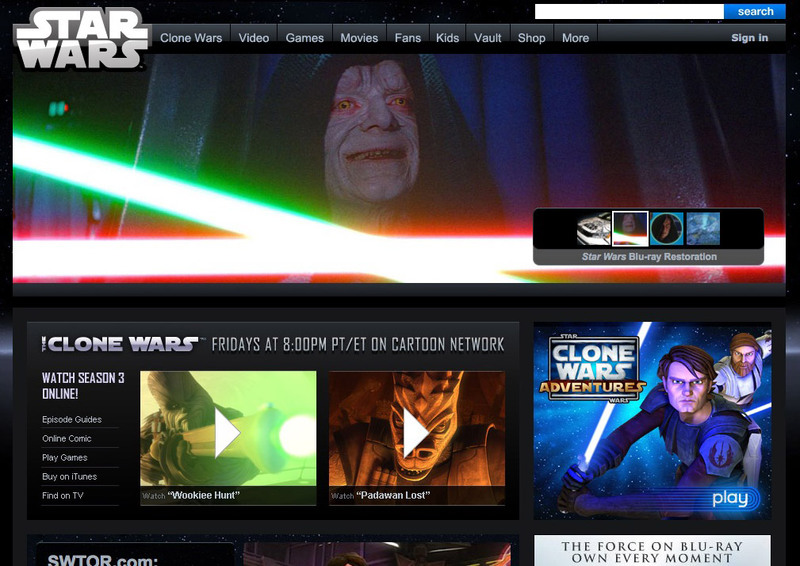 As the Internet changed, so has the StarWars.com team’s digital offerings. 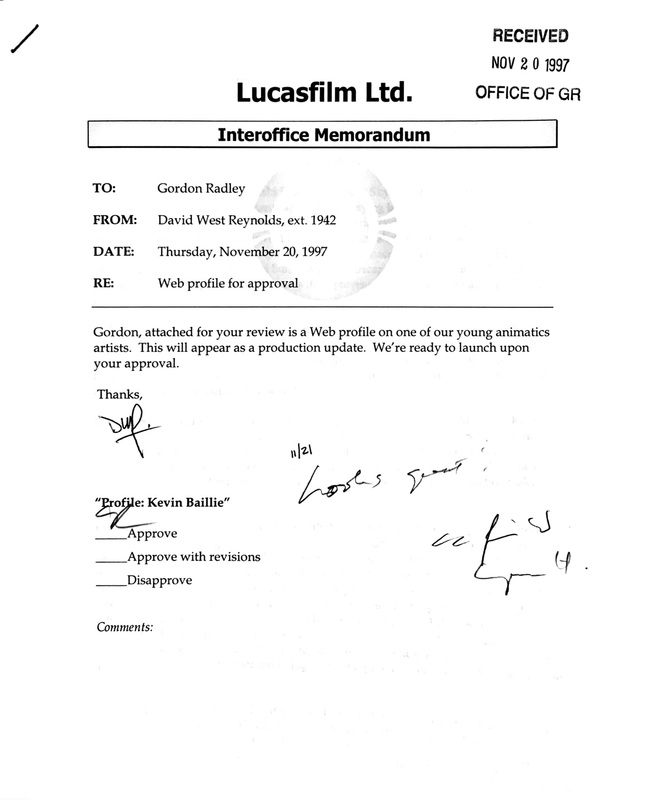 Staff members have moved on to become authors and work on Lucasfilm’s movies. Through it all, the site has remained a constant, delivering Star Wars content every day. The story of StarWars.com is one of risk, failures, frustrations, huge successes, and innovation. 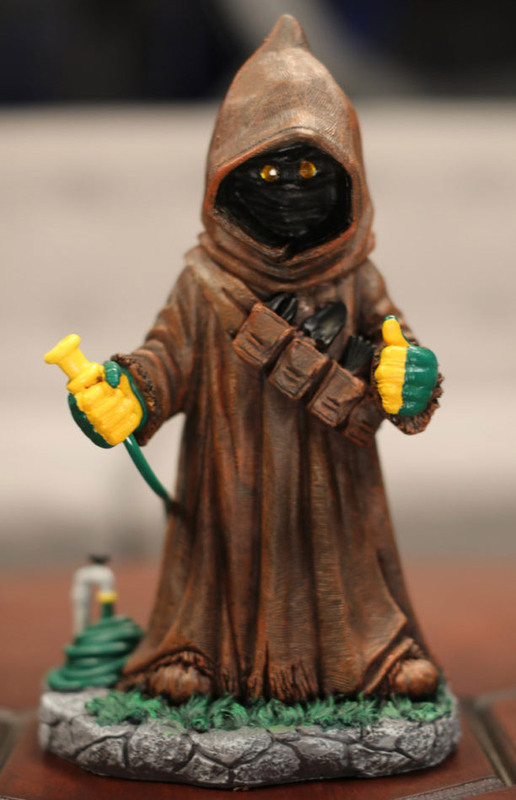 (And Jawa garden gnomes.) In honor of our 20th anniversary, StarWars.com spoke to many of the people who contributed to the site over the years, and let them tell the story in their own words. Turns out, it’s a saga all its own. The only official online Star Wars destination up until 1996 was on Twentieth Century Fox’s website. 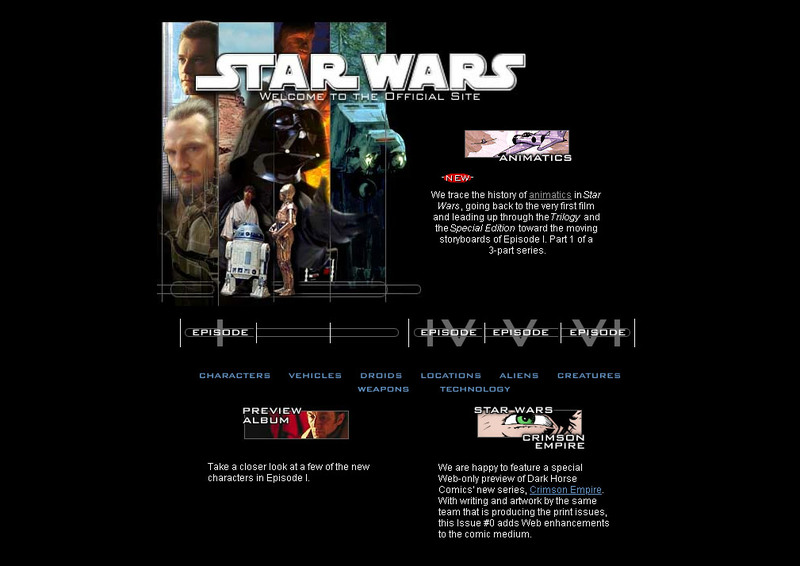 With the theatrical release of the Star Wars Trilogy Special Edition planned for January 1997 — which was considered a big, almost reckless risk by many internally — and George Lucas beginning production on the Star Wars prequels, Lucasfilm decided to create its own Star Wars website: StarWars.com. It would complement this new era of activity and provide an outlet to message directly to fans. The idea for the site came directly from Lucas himself. Lynne Hale (director of publicity, 1986-): George has always been very conscious about the fans. He sent [advertising publicity supervisor] Charlie Lippincott to fan conventions before A New Hope came out, because he was the one that understood, intrinsically, the relationship with the fans — even before they were fans. George was very interested in having a direct communication with the fans. Steve Sansweet (director of content management and later head of fan relations, 1996-2011): It was in 1995 when Lynne called me at the Wall Street Journal and asked if I knew of anybody who might be interested in a one-year-only job to go out and talk about the Special Editions at fan conventions. And, frankly, at that point I had been bureau chief in Los Angeles for the Journal for many, many years beyond the normal period of time. They were looking for me to do a different job [at the Journal] and I wasn’t interested, and I said [to Lynne], “Well, let’s talk,” and one thing led to another, and I joined Lucasfilm for a guaranteed one-year-only job. Which they then forgot to get rid of me for the next 15. I started by working out of my house; I was still working on the Star Wars Encyclopedia, and then going out and doing conventions nearly every weekend all over the US, especially in the summer period. As the fall approached, I knew they were working with Fox on getting a separate website launched. I mean, 1996 was the dawn of the Internet, really, for commercial use, and certainly for fan use, and things of that nature. So there were a lot of scattered things happening all over the place. Nobody had any idea what the impact would be, but the big companies were sure that they needed some kind of presence. My recollection is hearing that it was George’s idea, and George was always pushing things and saying we need to control it. Fox certainly had an early website and they would put up their own photos and their own copy, but I was hired because Lucasfilm clearly wanted to control the message. Jim Ward (senior VP, marketing, distribution, and online, 1997-2008): The initial focus was, “Hey, come on board and let’s launch Star Wars.” The thing that really got me excited about George’s point of view was that he recognized that he was sitting on brands in Star Wars and Indiana Jones that were truly global brands, and it wasn’t just a movie. It was everything around the brand, and he wanted that brand to be curated and managed over the long term. So that was very exciting, and as I came on aboard, obviously it was sort of the genesis of the Internet age, and one of the issues always was, how do we tap into a movement of fans that currently exist and create new fans with the prequels? How do we do that? And since George was self-investing, and we were building the infrastructure to do it, how could we mobilize that movement in the most efficient and economic way possible? The traditional studio model at the time was to go out and spend a lot of money on television and print, the traditional media mix, and do traditional PR, as well, to mobilize that fan base. And with the advent of this thing called the Internet, we thought there might be a more interesting way to do that, or a more complementary way to do that. This idea of creating the first, really, studio movie site that wasn’t just promoting a particular movie, but a brand — and thus, StarWars.com — was born. Lynne Hale: I just think that George was always three steps ahead of everybody. Whether it was the tech department, in education, or on the website. He believed in digital technology and knew it was the future. 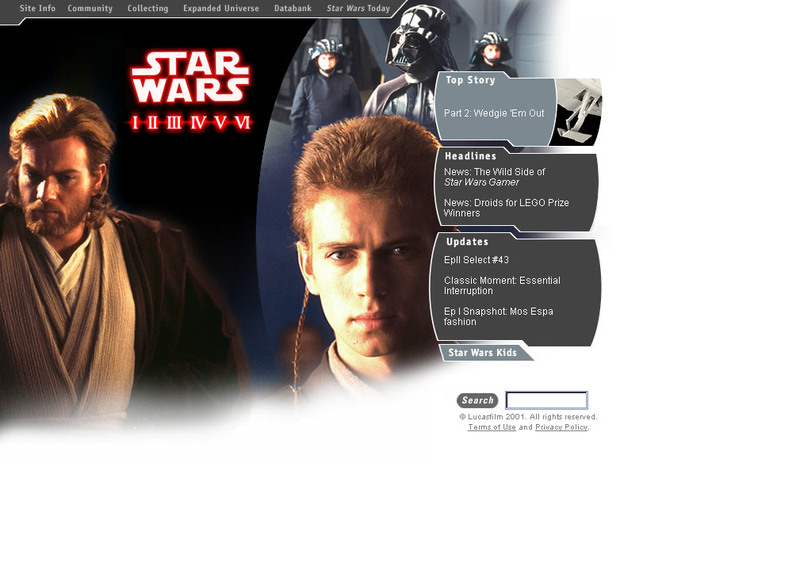 The original StarWars.com homepage, as it appeared on November 26, 1996. Jim Ward: Because it was so new, it was controversial. It was controversial in a number of ways. How open and transparent should we be in an age where people have this kind of access? How open should we be? And there were contingents in the company that wanted to be very, very guarded — clearly with the storyline, but I mean guarded with the assets. Putting the photography online and “My God, what are they going to do with our IP, and people are going to steal things,” and all of that. There were issues around having other fan sites like TheForce.net, and what is their role, and what do they do, and what do we do with them in the use of content, and where do we draw those boundaries? Steve Sansweet: Marc really sort of took over the whole thing and I was still there as the intermediary, but [content writer] David [West Reynolds] and Marc worked closer together. Marc Hedlund: I think I was just this weird offshoot, and they put me in the stable house on Skywalker Ranch, which was where a lot of the weird offshoots were. I think the educational foundation was there, and I was there, and HR was there. It was this grab bag of strange things. I wound up starting around the same time as this guy that was hired by Rick McCallum, the producer. 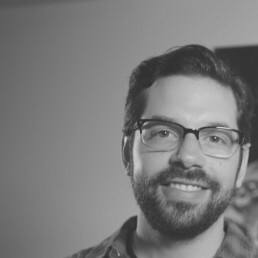 He had hired this documentary filmmaker [Jonathan Shenk] to do behind-the-scenes video of Episode I development. 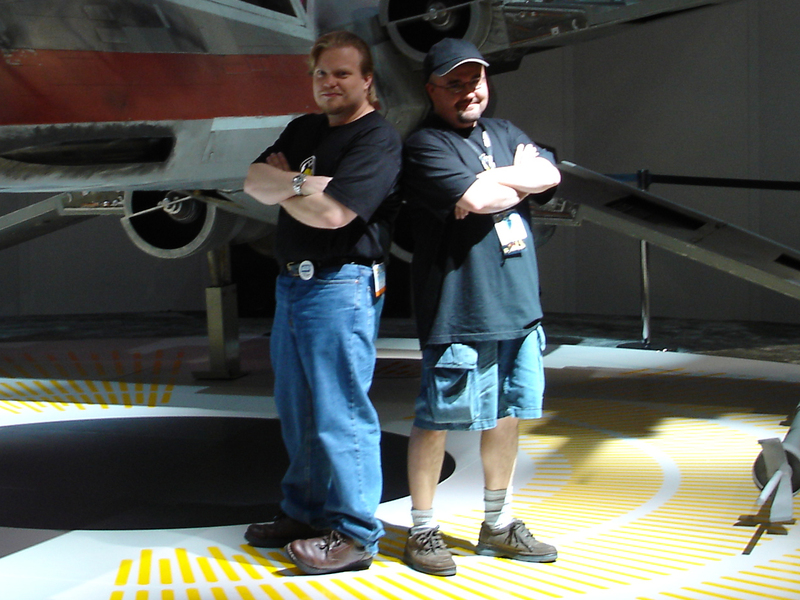 He and I were about the same age, and we hit it off right away and became sort of the punks of Lucasfilm. Steve Sansweet: You have to remember, in the very beginning we were updating maybe once a week. It was frustrating as all get out. All of the copy had to be written. I would look it over, edit it, and then for the first couple of weeks Jim wanted to see everything. He would look at it, then it had to get sent over to [president] Gordon Radley. That happened for six months. Gordon had to get it in a printout form and he would edit it, make changes in red pencil. [Laughs] When you look at it now and what digital communications has become… I mean, even back then it seemed sort of silly, but Gordon wanted to make sure the message was right and these kids weren’t doing anything [wrong]. He was protective of George and the brand and the Special Editions were a real gamble. It was something that George wanted to do for the 20th anniversary, and at the beginning nobody really knew if the money being spent was worth it. And then, of course, the Special Editions just blew everybody’s minds and expectations were blown out of the water. They had to push back the Jedi release by one week, because Star Wars and Empire were still up in the theaters and playing strongly. So all this was good for the beginning of StarWars.com. Of course, the prequels were coming closer and closer, so this is why it was all part of one package. We start it now, we start it slow, we’ve got some time, and we build up to the prequels. Jim Ward: It was the Wild West. It was the dawn of a new age and we were doing stuff that no one had done before. We kind of had to figure it out as we were going in real time. 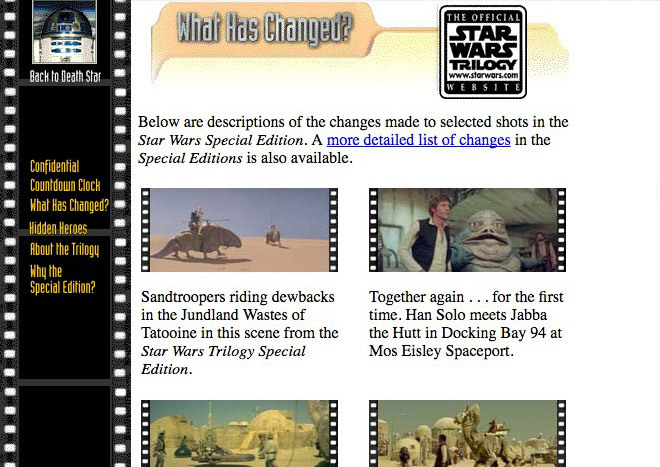 In support of the Special Editions, which marked the 20th anniversary of Star Wars and included new digital effects, StarWars.com added sections called “What Has Changed?” and “Why the Special Edition?” “What Has Changed?” featured a breakdown of the additions and alterations made to the films, while “Why the Special Edition?” explained the reasoning behind the rerelease. On August 11, 1997, Anatomy of a Dewback, a five-part behind-the-scenes featurette on the making of digital dewbacks for the A New Hope Special Edition, would be released on the site. As the Special Editions wound down, the focus turned to Episode I. Lynne’s Diaries — an 11-part documentary series on the making of Episode I, hosted by Lynne Hale — was made specifically for StarWars.com, and premiered on June 22, 1998. 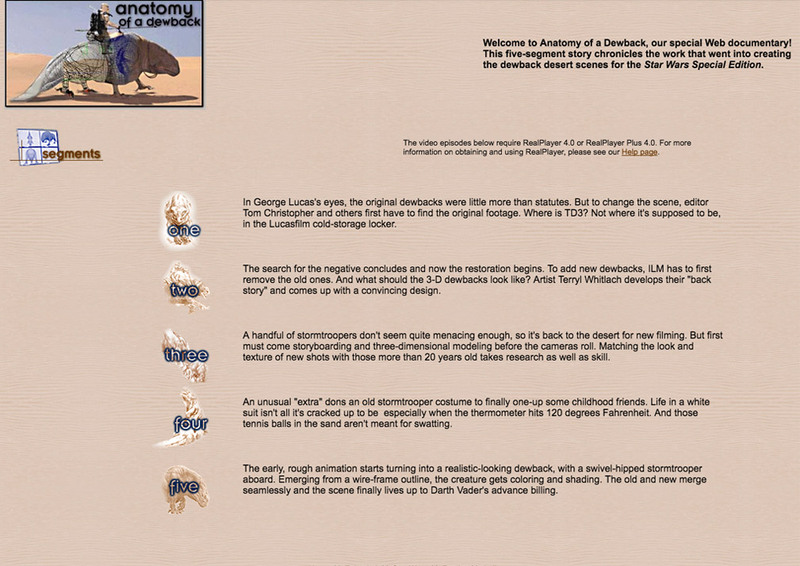 Along with Anatomy of a Dewback, it stands as one of the first made-for-Web documentaries by a movie studio. Lynne Hale: When George told me the idea, I didn’t think I was the right person to host it. I’d never been on camera and I am much more of a behind-the-scenes type of person. But George insisted that was exactly why he wanted me to do it. He didn’t want it to be polished — he wanted it to be authentic. A peek inside the creative process for the fans. Steve Sansweet: Lynne is the last person who would think that she would be good on camera. But she was great, and she was natural. George came up with the whole Lynne’s Diaries thing, and we spent considerable time and polish and everything else on those. They were self-contained documentaries, and among the first [Web documentaries] that were sort of out there. Lynne Hale: Jon Shenk produced, directed, and shot the series. He was incredible. It was a wonderful opportunity for us both to be a fly on the wall for every aspect of making the film, from the first day that George started writing, through art department meetings, ILM breakthroughs in technology, and more. 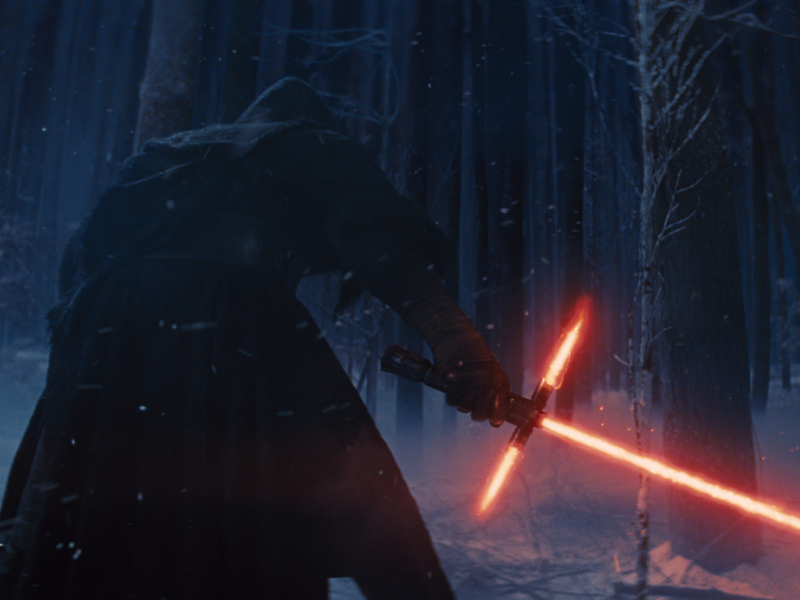 Starting work on a new Star Wars film marked a very exciting time in Lucasfilm’s history. Marc Hedlund: I think I’m listed as the producer on them or something like that. I wound up finding space for it in my budget, and Jon [Shenk] and I just kind of hit it off and worked together. Steve Sansweet: It came from the basis of, “We know fans, we know what fans want.” They want the behind-the-scenes look, and this is the place — and the only place — that they’re going to be able to get the behind-the-scenes look. They can come to StarWars.com for this information that they won’t be able to get any place else. Lynne Hale: George has always had a passion for education. He wanted the student living in Iowa to have the same opportunities to learn about filmmaking as a kid in Los Angeles. Jon shot footage and did interviews every single day. The footage was used not only for the Internet, but for documentaries on the DVD, featurettes for publicity — a million different things. But for the Internet, George wanted to have that direct connection with the fans. He wanted to bring them into the process and let them be a part of the journey. 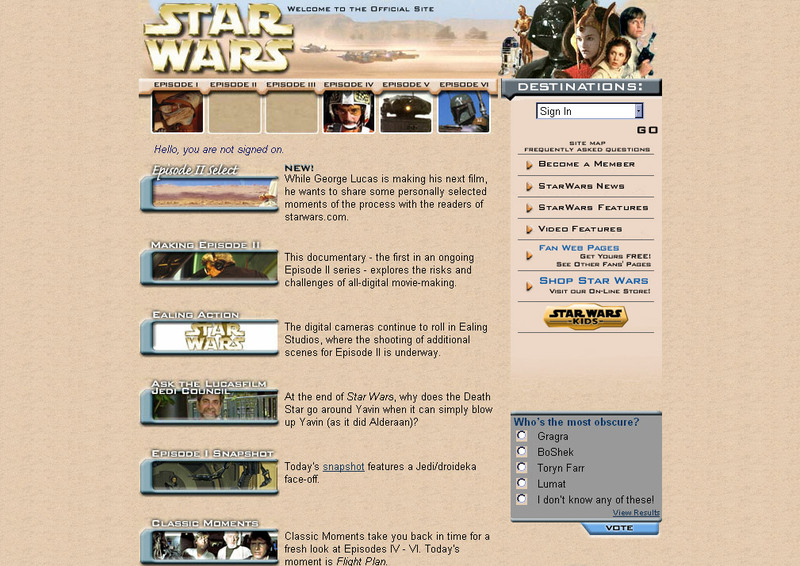 In an age before YouTube, mass adoption of high-speed connectivity, and posting trailers online in general, placing Episode I’s trailers on StarWars.com was difficult on many levels. In the end, Lucasfilm and StarWars.com would break records with both the Episode I teaser (November 17, 1998) and full trailer (March 11, 1999) releases. The teaser release on StarWars.com would be the biggest event in Internet history up until that point, amassing more than 10 million downloads — it also crippled StarWars.com’s servers. The full trailer, released exclusively on Apple’s fledgling QuickTime player thanks to a mega-deal between the companies, offered the trailer with greater quality, more servers, and garnered 3.5 million downloads in five days. 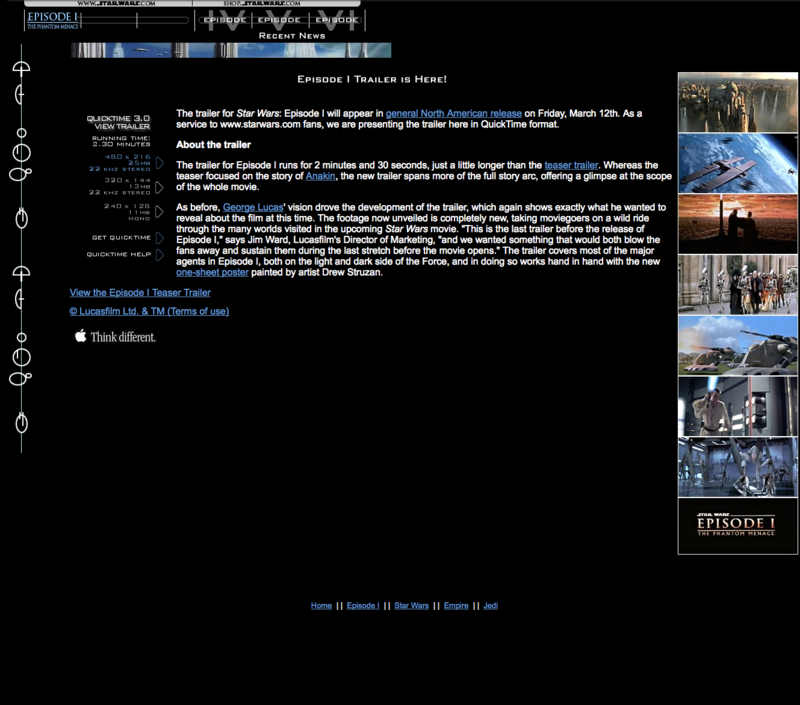 StarWars.com’s Episode I trailer page. Lynne Hale: The teaser crashed the site, so we found out very quickly that we needed to partner with Apple and get more bandwidth. [Laughs] So for the next one we were prepared. Jim Ward: So at that point, it was like, “You know what, let’s talk to Steve Jobs.” I knew Steve from [my] Apple days, and obviously George [knew him], as well. And I went over and met with Steve in Cupertino. I brought over a rough cut of the trailer and said, “Steve, we want to stream it on StarWars.com. We have no infrastructure, and it’s going to be huge. It’s going to blow it out,” and Steve was obviously smart enough to get all of that. But he also happened to have this little technology called QuickTime. He said, “Look, we’ve been trying to get a foot in the door, and one of the areas that we want to exploit is trailers. Because QuickTime is much higher quality. We think the Hollywood community and the artistic community will value QuickTime much greater than RealNetworks, and this could be our grand debut in a big way of doing that.” So we did the deal. We used QuickTime exclusively. Steve Sansweet: That was Jim, and Jim is a marketing genius. Jim had a large role in making that trailer [big]. We were trying to keep expectations fairly modest, not to get ahead of ourselves, and that trailer… Jim did the business deal on that with Apple and it just… Nobody expected the kind of numbers that that trailer garnered. It’s still a chilling trailer when you watch it. It really showed the power of the Internet and I think people started taking StarWars.com a lot more seriously. Jim Ward: All of a sudden, the world saw the utility of marketing in a completely different way on a website with a trailer. Nicole Love (intern, graphic artist, and later senior manager, Internet production and design, 1997-2013): There were probably about four or five people on the online team, and that may be generous. The first Web server was under somebody’s desk, but that soon changed after the release of the Episode I trailer. It was the early beginnings of the Internet, really, for a lot of big brands. Jim was a really big proponent, a great champion of online. Marc Hedlund: I really felt like there was this fan community that was happening online that had this huge amount of passion about Star Wars, and I felt like we had the ability to do things with that community that would make people really excited about Star Wars: Episode I. There were some things that we did that worked really well at that. Lynne’s Diaries, I thought worked pretty well. The trailer stuff was completely great, that was certainly the best of the things that we did. The interactive games didn’t really go anywhere, the Wikipedia-type information didn’t really go anywhere. Some of the things where we were like, “We’re here on the set and we can tell you about what’s going on, and no we’re not going to tell you the plot of the movie, but we can tell you some things that would be exciting for you.” Those were things that were fun to do and I thought had benefit. 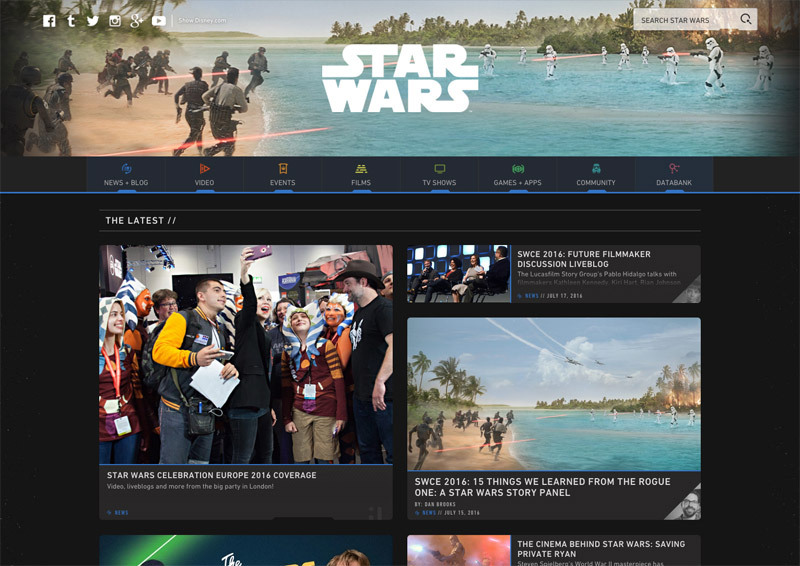 With the release of Episode I, StarWars.com continued to evolve. But so did fan sites, and they were becoming more of a destination for fans than Lucasfilm’s official site. Paul Ens (director of Lucas Online, 1999-2006): I was working on TheForce.net leading up to Episode I. I was 28 at the time. Shortly after Episode I came out, a bunch of us decided we wanted to turn that into our jobs, and we started pitching IGN. I had a meeting with IGN in San Francisco. I happened to know, a little bit, Marc Hedlund, who was at Lucasfilm before me. I got to know Marc a little bit, because I had been e-mailing him about StarWars.com with little technical things, and I thought I was being a helpful fan. I was in San Francisco, so I thought, “Maybe I’ll get a tour of Skywalker Ranch.” I thought that would be pretty cool. It was kind of sketchy, because TheForce.net was in competition with StarWars.com. And I got a tour of the Ranch and they ended up inviting us for lunch, which was great, and at that meeting were a lot of the marketing executives at the time. So Lynne Hale, Jim Ward. Gordon Radley was there. A lot of executives, which was kind of intimidating, but they wanted to pick our brains about how Episode I was going, and I decided that this was my one and only chance to be impolite. I laid it all out on the table and told them all the things I thought they were doing terrible. And that was a great conversation. Jim Ward: We sat down and we started to talk about, “Look, we don’t want to shut you down. But what we can’t allow you to do is rip off film clips and then have you guys go monetize that. That’s crossing the line and we’re not going to put up with that. However, we do celebrate your fans creating their own content and you should definitely put that online, and we’re not going to stand in your way of doing that, and we could feed you some exclusives as if you’re a news facility.” And we came up with how we were going to co-exist and what the ground rules were going to be in this new Wild West. But in that process, we got to know Paul, and I remember being very impressed by him in that meeting. Paul Ens: That night there was a call asking me if I wanted to come in to meet for a job. So I didn’t actually know that Marc Hedlund was leaving, and they were actually looking for someone to take a whole new direction. To actually start a proper Internet division. Steve Sansweet: It was when Paul took over, and Paul came from the rough-and-ready frontier of fansites with his desire to break news, [that the site modernized]. Frankly, for years, StarWars.com was sort of the stepchild. It was thought that it was much more important to get a placement on this entertainment TV show or four pages in this entertainment magazine. Paul Ens: Among my goals was to, first of all, just be updating frequently. The Internet is not a place that lets you sit with your site updating only once a month. But more importantly to me, I wanted to reassure the fans that Star Wars cared about the fans, and that we cared about giving them the kind of information that they wanted. So with Episode II, I wanted to be very open. I wanted StarWars.com to be the place that actually broke news, as well. That we were the place that confirmed things, that we were giving teases. 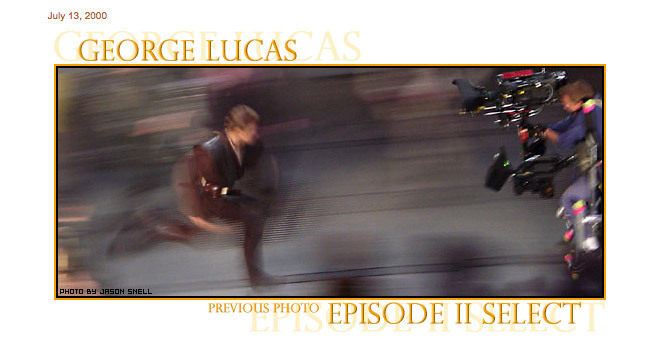 We did the weekly set pictures — the George Lucas Selects [for Episode II]. Getting George to do that was quite a daunting task. I also felt like an important part of fandom between movies was the books, comics, games, toys, all that kind of stuff. So I wanted to start acknowledging the Expanded Universe and that kind of thing. Telling people when comics were coming out, when books were coming out, and showing them the toys. To me, that’s an important part of fandom between movies. 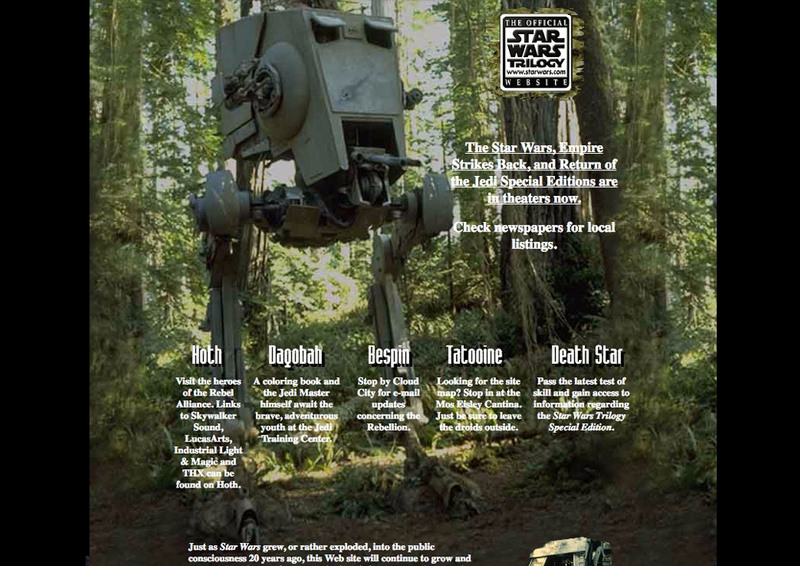 As StarWars.com’s publishing frequency grew, so did its staff, and the team officially became its own department called “Lucas Online.” Designers, developers, and writers were brought on board to create daily content and ideate larger initiatives. Dennis VonGalle (StarWars.com production and content, 1999-2015): It was during those times that we had to beef up our team, because content picked up and there used to be one guy, and then two, doing daily production. That was where I joined the production team from being a production coordinator. They needed more people to produce the content going out. In those days it wasn’t authored in WordPress, obviously. It was typing out everything, and all the site updates were hand-coded. Pablo Hidalgo (content developer, later Lucasfilm Story Group creative executive and author, 2000-): I joined in January of 2000. Dennis VonGalle: I want to go on record that at the stable house on the Ranch, I [was one of the staff who] interviewed Pablo Hidalgo for his content developer job. [Laughs] We were instantly charmed. Paul Ens: Anytime I wanted staff, I had to justify what money would be coming to pay for it. I started writing the articles for the first four or five months, but for me, I couldn’t do the business work and the technical work and do that, so a content manager was one of the first positions I felt that I needed. That was the hiring of Pablo Hidalgo, which is one of my great discoveries in my life. Pablo was my first hire. Pablo Hidalgo: It was basically writing. It was like 90 percent writing and maybe 10 percent of coming up with ideas of what could go on the site. Back then on the Web, there wasn’t a lot of variety of content experiences, or there wasn’t a lot of variety of satisfying content experiences. Matt Martin (Star Wars Shop buyer, StarWars.com content manager, and later Lucasfilm Story Group creative executive, 2007-): I started as a volunteer at conventions, in like the early 2000s, working for Mary Franklin, putting action figures in cases as they sold them. [Laughs] So I started there, met a bunch of people through that. I was going to school for visual communications at the time, and through the people that I met, I eventually got hired on as a freelance designer. Then the main guy that I worked for told me that he was leaving, and so I randomly put in for his job, which was the buyer for the online store. And they’re basically like, yeah, you know Star Wars, you know our audience, you know our products. We can teach you buying — because I knew nothing. [Laughs] That was it. 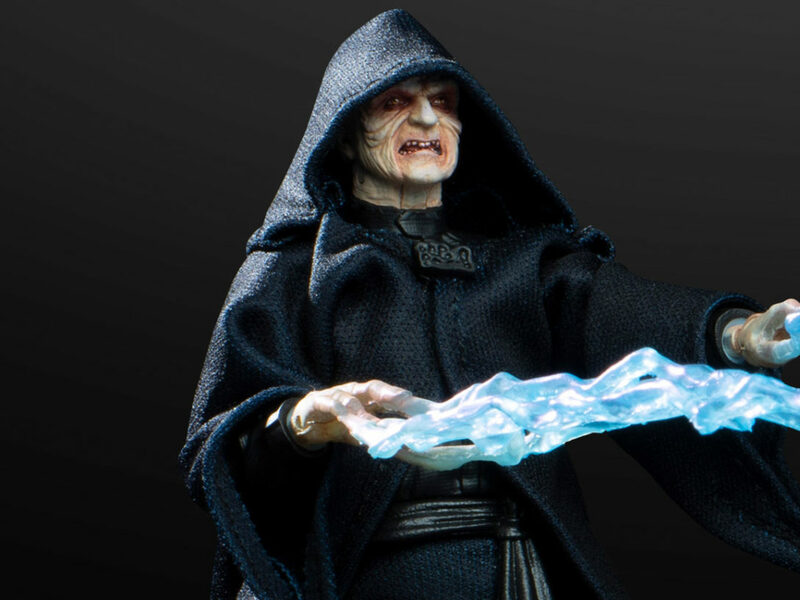 In addition to ramped-up daily content under Paul Ens, StarWars.com also added more unique behind-the-scenes experiences for the prequel trilogy. 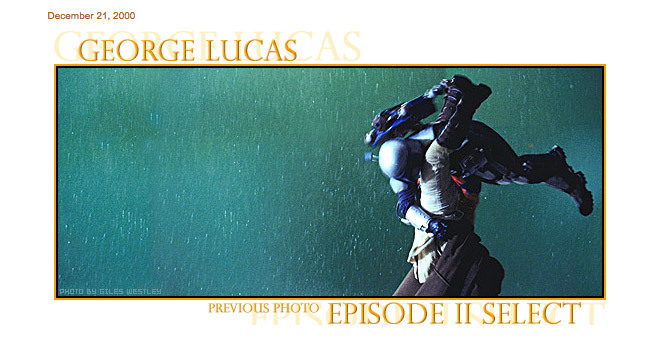 On August 1, 2000, StarWars.com launched On Location, a series of Episode II on-set reports from Ahmed Best. 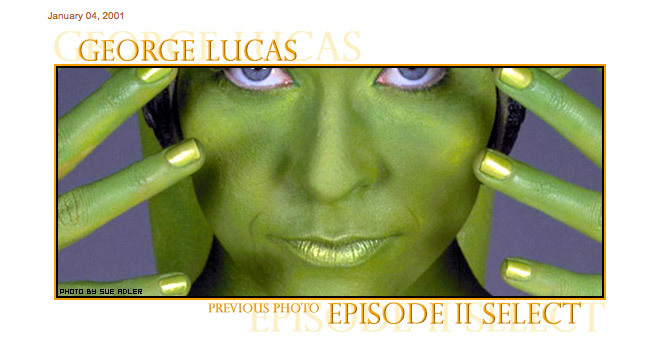 Perhaps most significant for Episode II, however, were George Lucas Selects, featuring production snapshots from the film hand-picked by the Star Wars creator. Pablo Hidalgo: That was George. George surprised us with that. We didn’t think to be as forward as asking George, “Hey, can we have you hand select a photo every time?” He pitched out the first one and surprised us all by saying, “Get this on the website.” And he’s on Australia time, so we’re reacting to this, and then it became this thing. We ended up running about 50 of them. Paul Ens: At the start of filming for Episode II, one of the things I felt we owed to our fans was that the site itself was open and honest and that we were having fun with Star Wars. Those were all goals of mine. I had pitched much more frequent set content. Something like a webcam, that was too far — that was asking too much at the time. So I said, “Well, then can we at least, every week, put out a photo?” So what I did was, I took a few of the pre-production photos, I had the privilege of being at all of the art department meetings, which in itself was a watershed. So I took the pictures I had from there and cropped them very creatively and artistically. If you crop a photo in a certain way, it can be intriguing, and so I showed those to George and said, “These are examples of the kind of things I like.” Well, he loved it and he liked the idea so much that he personally wanted to be arranging and taking the photos, which was so fun. He eventually got too busy to take them himself, but the first several were completely his. Literally, every week we were like, “George, what do you want to shoot this week?” So they’re all his brainchild, and as we called them “George Lucas Selects,” he personally hand-picked each photo. So for the first time, Star Wars was giving fans, while we were shooting — this was before Instagram and Facebook — we were giving them a photo every week. The fun part for the fans was that they were so strangely cropped and so ambiguous, deliberately, we tried to have a hidden reveal so that once they saw the movie, they could go back through them and say, “Oh, that’s what that was.” The online speculation turned from things that they didn’t like. It actually gave them positive things to speculate about and affirm and debate. I felt really good about that series because it was very much adding to the Star Wars community as opposed to our previous reputation. On June 5, 2003, Hyperspace, an ad-free, paid-access section featuring exclusive content, was launched. 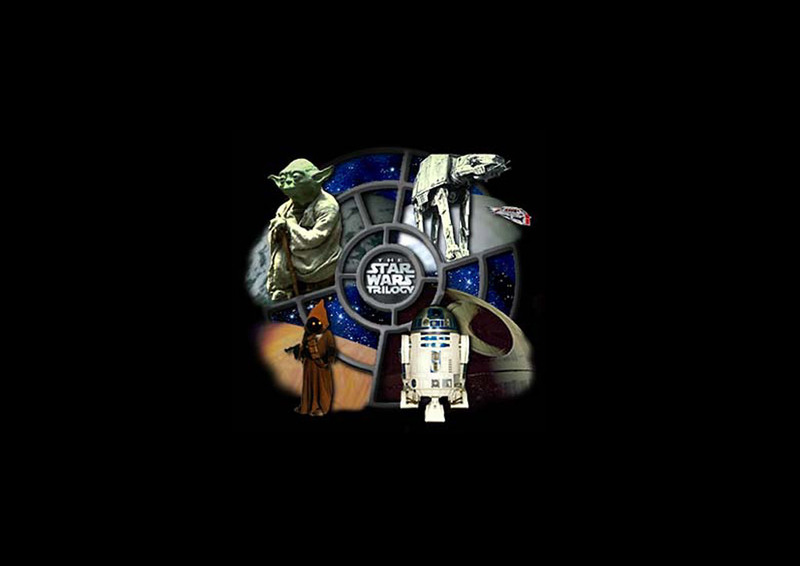 StarWarsShop.com opened on April 14, 2003, selling merchandise available only from Lucasfilm. For Episode III, StarWars.com launched another first: a live webcam (shooting one still per 10 seconds) from the set, available only to Hyperspace members. Pablo Hidalgo flew to Sydney, Australia, for production, managing the webcam and filing reports. Pablo Hidalgo: I didn’t pitch this idea, but it went through. It was the idea of sending me to Australia to do a daily coverage of Episode III for the site, so that was the big push. I left Memorial Day weekend and flew down to Australia and was there for four months. So, talk about trust — we went from, a few years ago, of having the president read everything to having a guy writing live, having a live webcam on the set of Episode III. Various images from the Episode III webcam. Paul Ens: The initial ask was, obviously, a 30-frame-per-second shot, because it was going to be that we’d point it at uninteresting things. So we might point it at the snack bar or we might have it in the creature shop one day. But obviously, the initial worry was spoilers, and then Rick had expressed some concerns that some of the crew might not be comfortable being on camera all of the time. So there were multiple concerns. But if I remember correctly, it was George who suggested that if we did it at more interesting things, but less often, that might solve some of the problems. So for example, it could actually be showing more of a scene that’s going on, but if you only saw a couple frames a minute, you’re not spoiling the scene. Pablo did such a gentleman’s job on set. He was there every day managing the webcam. The opposite happened. The crew loved it. They started requesting, “Oh, can it be in our room today,” because it also kind of had a chat feature with it, and people were, all day long, watching this thing. They would take their lunch break or be up late at night watching. The other fun aspect of it was, of course, a lot of the filming was in Sydney. So the interesting stuff was happening in the evening for North America, so people were actually watching that instead of TV. 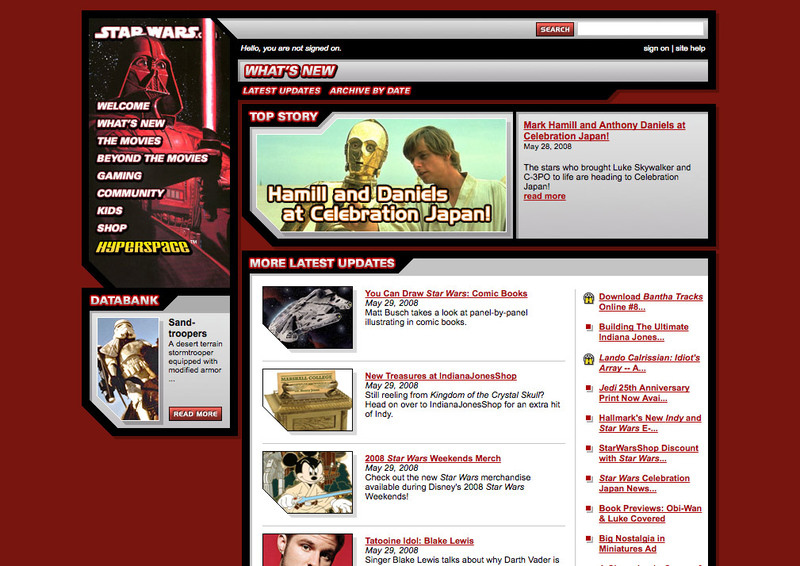 As the prequels wrapped up in 2005, tent-pole events waned and the StarWars.com team would undergo several leadership changes, but StarWars.com still continued to change with the Internet. 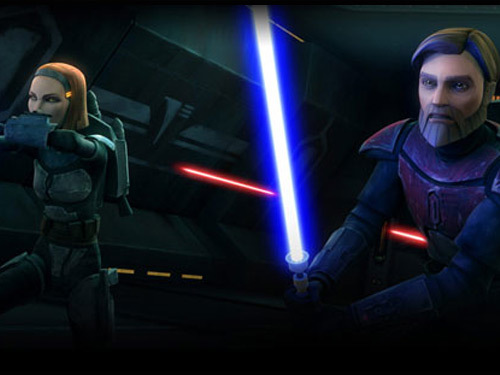 The site added and subtracted features, including an official blog and forums, provided content on the Star Wars: The Clone Wars animated series, and went through various redesigns. Social media was also on the horizon, with the rise of YouTube, and shortly thereafter, Facebook, Twitter, and more. Paul Ens: Part of the thing when I was hired on was, they said, “You know, we’re doing Episode II and III,” and that was kind of it. So they pitched me a six-year stint, which is how I pitched it to my family. But then we kept doing things like Clone Wars and other projects, but by 2006 I had kind of got the itch to move on. I didn’t see a lot of Star Wars on the horizon, Indiana Jones 4 was kind of becoming the focus of the company. I kind of felt like I had built what I wanted to build and accomplished what I wanted to accomplish, and so I had some ideas of my own of creative projects that I wanted to start working on that weren’t Star Wars related. So yeah, in 2006 I moved back to Canada with my kids and got reacquainted with them, which was kind of nice. Pablo Hidalgo: It was after Episode III ended, there was the big question mark of what was the daily proposition for StarWars.com, and we didn’t get any insight into animation until maybe 2007, 2008. So there was a period of just like, keeping the lights on and keeping content out, and we did a lot of great retrospective stuff. Pete Vilmur (content developer and later senior editor, 2003-2012; senior writer, publicity, 2015-): Well, on my side with licensing, it never slowed down. 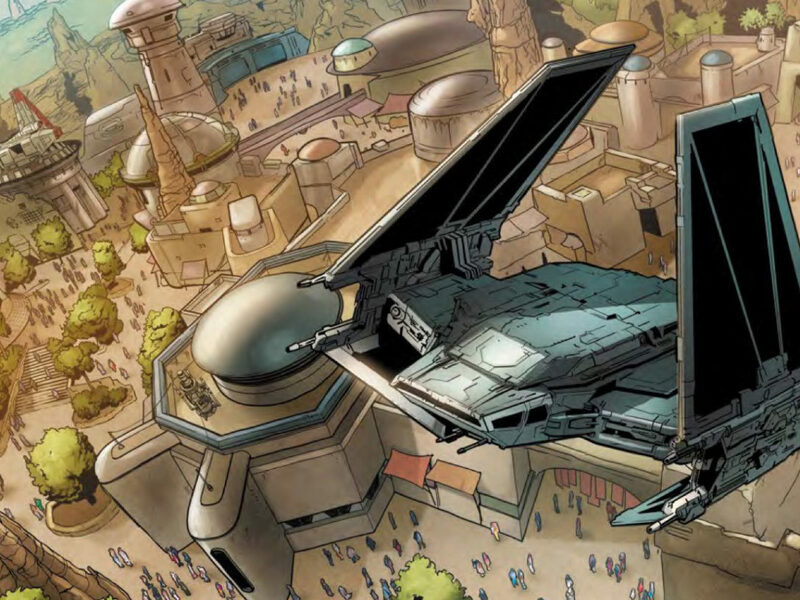 I was doing a lot of that, coverage for licensees, and given that I was interested in the history, I continued on for Hyperspace with a lot of history-driven pieces. When the animation thing started, I was kind of at the forefront of that. 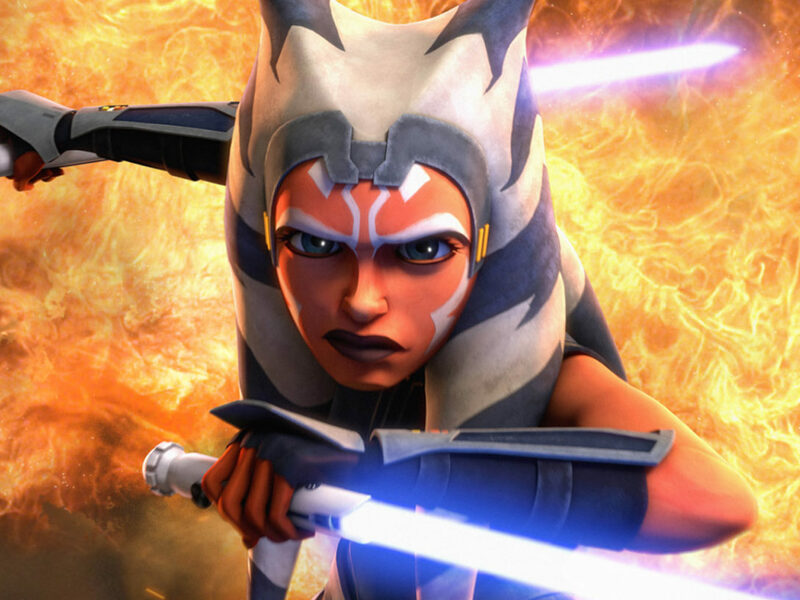 I was the one who was out interviewing [Star Wars: The Clone Wars supervising director] Dave Filoni and [producer] Katherine Winder and CGCG all of those various animation studios. I was kind of doing a weekly on those. I did all the copywriting for all of the Star Wars Shop products, and we actually came up with our own products. Dennis VonGalle: We had regular brainstorming sessions. Pete Vilmur: They were the best meetings, too. Dennis VonGalle: That was a way to separate Star Wars Shop from everybody else. It’s the place that could sell products like, “Hey, this is a Star Wars Shop exclusive, only get it here.” A couple of the products hit. They were all made in relatively small quantities. I think the biggest hit might have been the garden gnome Jawa or the [Darth Vader] toaster. The garden Jawa had to have a reorder; we ordered like 10,000 of them, sold out, and then ordered 10,000 more or something. And the last thing that was in the production pipeline right when they ripped the plug out was the TIE swatter, which was a fly swatter with a TIE wing and a sound chip, so when you swung it, it would go [makes TIE fighter noise]. Matt Martin: The Star Wars Shop always did really well. I think fans really liked it because of the exclusives. It was tough working with some of the vendors, because we were, relatively speaking, a smaller store. Some of them were so used to selling to Target and Wal-Mart, who were buying tons and tons of stuff, and we could never compete with that. So our prices on that sort of thing were expensive, which is why we really leaned heavily into the exclusives where we could be in control and give people something that felt like there was a little more value. We basically decided that it really didn’t make a lot of sense for a film company to maintain as much inventory as we did. So just in the interest of the future, we decided it made more sense to close it down, and it was a very natural progression to get me into StarWars.com. Bonnie Burton (content developer and later senior editor/social media strategist, 2003-2011): The Star Wars [fan] blogs, I don’t think happened until a couple years after I was there. I brought up the idea of having that, because blogs were starting to become a big thing, and I thought it would be fun to incorporate. Then we had forums for a really long time, and we maintained forums so people had a place to talk Star Wars, and their theories, and whatever. I believe social media started — it wasn’t at the beginning of Twitter, but it was pretty close. I wanted to make sure we got in there right when everyone was using it, because it doesn’t really make sense to start something when social media’s in a beta form. Because you don’t know if it’s going to take off, and you don’t want to waste all your time on something you don’t know if people aren’t going to use. So we did that, but then were also expected to do a lot more than just maintain StarWars.com with just articles. 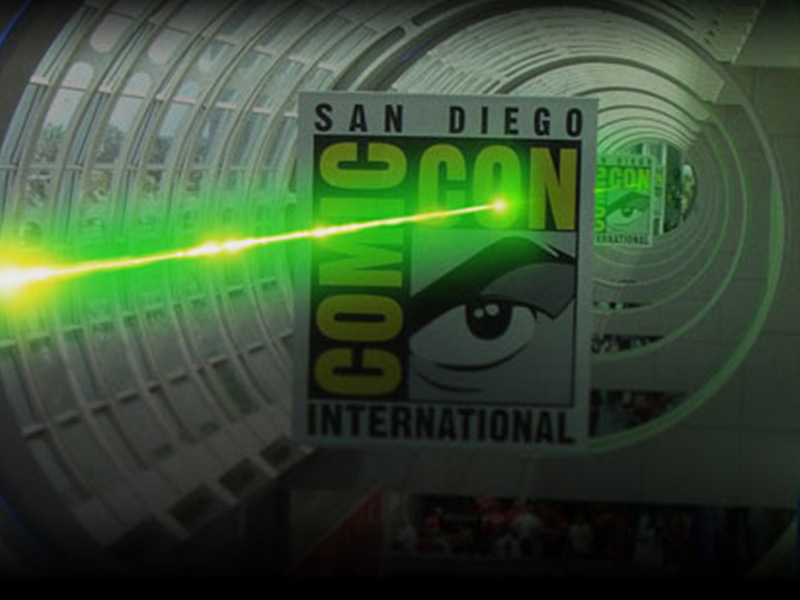 We were also covering events, we were covering premieres, we were covering Comic-Con and any comic conventions we were going to, we were covering press junkets. I’d say it was a split between marketing and just regular traditional journalism. We were reporting about Star Wars 24/7, and there were a lot of different reincarnations of StarWars.com. 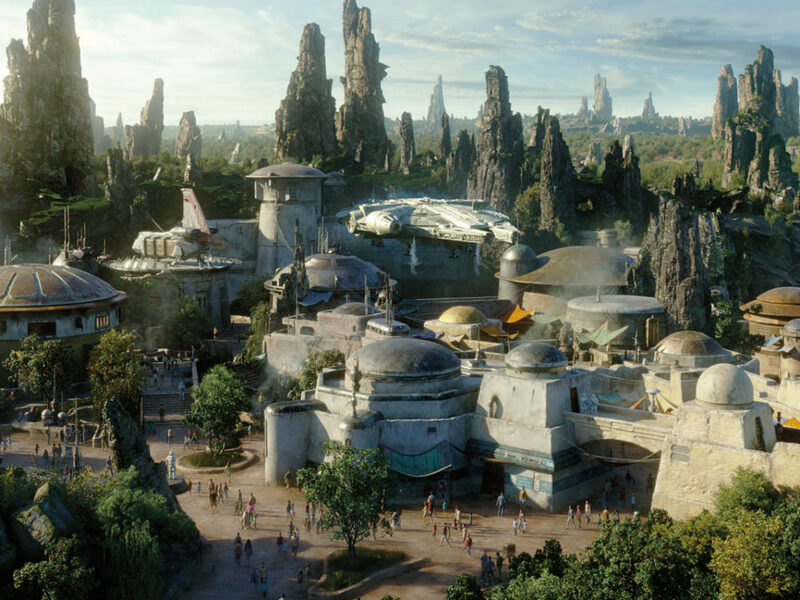 When it was announced in October 2012 that Disney had acquired Lucasfilm and a new trilogy was in the works, StarWars.com once again entered a new phase of productivity. 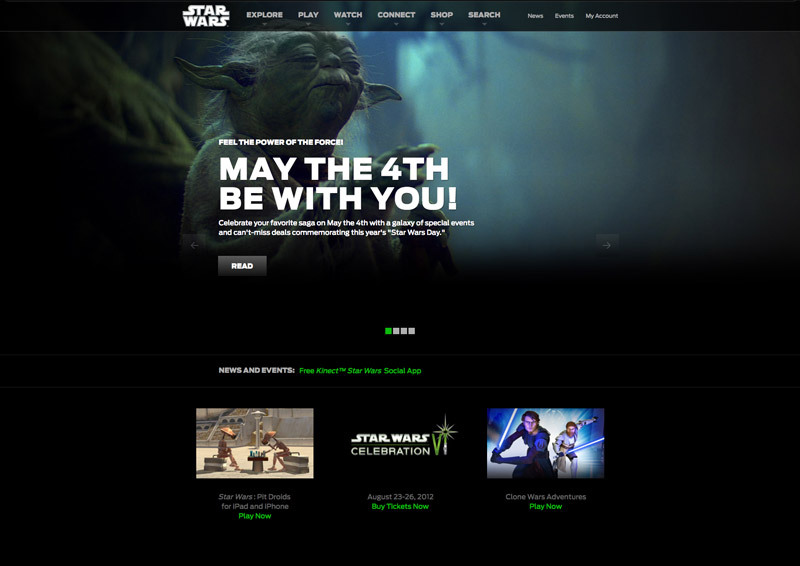 StarWars.com was redesigned and relaunched on July 1, 2014, with a mobile-responsive design and expanded Databank entries. The first official Star Wars app was released on July 8, 2015. Today, the StarWars.com team produces a robust mix of daily written content, social media posts, and video — including The Star Wars Show, a weekly variety show; The StarWars.com 10, a series of top 10 lists; and Rebels Recon, a Star Wars Rebels wrap-up show — in addition to live streams from premieres and Star Wars Celebration. Matt Martin: When we decided that we were doing new movies, which came along with Disney, it was clear that we needed a different website. Like, we now have a different purpose for the site. This is no longer just an archival, talking about the past, plugging our TV show sort of thing. It’s going to need to be the home for communicating news and information about new films. So it was very clear that we needed to relaunch the site and do something different. Mickey Capoferri (senior director, online content and programming, 2013-): The new site needed to be responsive. The archaic technology that was there before just didn’t work in a mobile world. We know that a large majority of our users visit the site on mobile and we have to have an experience that works in that native environment. And of course, we wanted to make it easier to use and easier for fans to find stuff. Now with two years of it being up, it’s just StarWars.com. I think it looks and feels right. So I’m really proud of everyone, both on our team and at Disney, who brought this new iteration to life. When I started here, the prospect of doing more video content was also really exciting. I started in video and worked my way through college shooting and editing sports for the athletic department. Then I was in news and then I got into motion graphics and digital and Internet, kind of afterwards. Video production had kind of permeated through everything that I have done. To get to play in the digital Star Wars sandbox and not do video content would just be a missed opportunity. So that’s been a focus and I hope to keep expanding it. If we have an identity now, as a group, I think it’s that we’re content creators. Walk around our office, and we’re shooting videos, we’re writing articles, we’re coming up with social posts. It’s an exciting time and I believe in our group. Contributing to StarWars.com has meant something different to all involved. Here, the talents who brought StarWars.com to life over the years reflect on their experiences. Lynne Hale: StarWars.com was very exciting for me because I could get news out to fans directly without an interpretation from the press. We could be playful with our messages and correct erroneous information in a fun way. 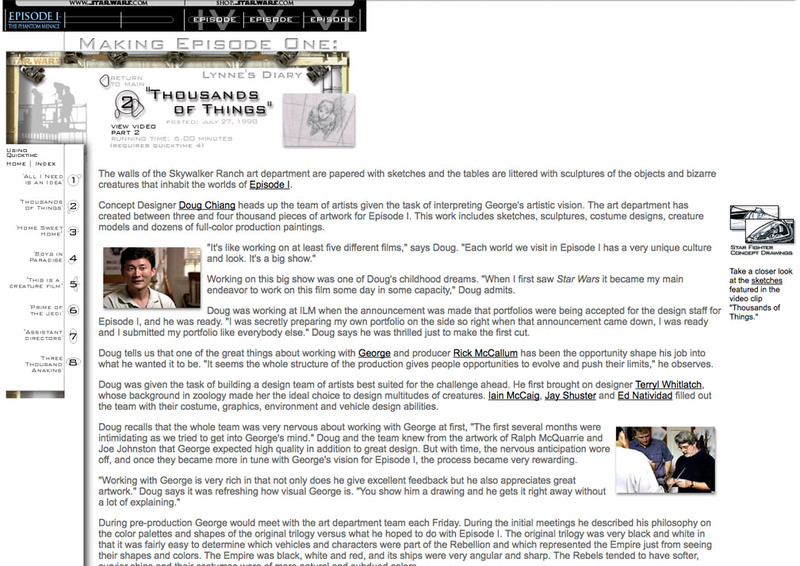 I have such fond memories of everyone I’ve worked with over the years at StarWars.com. Marc, Paul, Steve, Pablo, Bonnie, and the team were passionate about the fans because they were fans themselves. They would work around the clock because they cared so deeply. And that still holds true today with Mickey and his team. George also cared — he very much respected and appreciated the fans. Leadership always starts at the top, so with George and Jim championing the website, it gave all of us the support we needed to do cool things. One of my favorite memories was when Jim sent Pablo to Australia to be the on-set Episode III correspondent for StarWars.com. A fan came to the gate of the studio with a sign that read “George, Rick, Pablo — Please let me in!” Fans felt a personal connection to the people making the film but also to people like Pablo who spoke directly to them every day. Jim Ward: Definitely, the trailers [were a highlight]. That was a turning mark for an entire industry. It revolutionized the way that studios went to market with movies, it brought movies to the Internet, and in a way that became a key marketing trend for many different industries. So I’m very proud of that. I think that the ability to do the kind of fun vignettes throughout the years that we did, from the crazy, initial Lynne’s Diaries to the maybe more professionally produced vignettes, was so much fun. The whole video aspect of it was very rewarding, as well. Also, the ability to create a shop and begin to monetize that with the fan club and, ultimately, StarWarsShop.com, again in the very early days of monetization and having inventory on a website, and how do you do that — I’m proud of what we did there. Because literally overnight, we turned that into a $10 million dollar little organization. Literally within a year or so. It was a once in a lifetime experience — the whole opportunity to come in and help shepherd these great franchises on a global basis for over a decade and help George to pioneer all these things he did. Marc Hedlund: I had a great time. I would say, at other companies I learned much faster, because it was just much easier to try things and see if they worked. But I’ve never done anything that’s had that intensity of public focus. I would put something up online and every news outlet in the world would cover it, and the anticipation before Episode I was just so huge that it meant that whatever I was able to get done, whatever we as a team were able to get done, everybody in the world would see it. That was really cool. That was really fun to do. Paul Ens: I’m most proud of the team that I built. Some of who are still there, some aren’t. Neither is a reflection of quality. At the time when I left, it was in such good hands and it was such a well-oiled machine. We had such top talent and a team that really worked together for a great goal. That, more than any of the content we had put out, is kind of what I feel like my legacy is. The infrastructure I built, Lucas Online as a division, which I know is not quite the same anymore. Anyway, I’m proud of every piece of content we put out and all that kind of stuff, but in the end it was the team. No question. 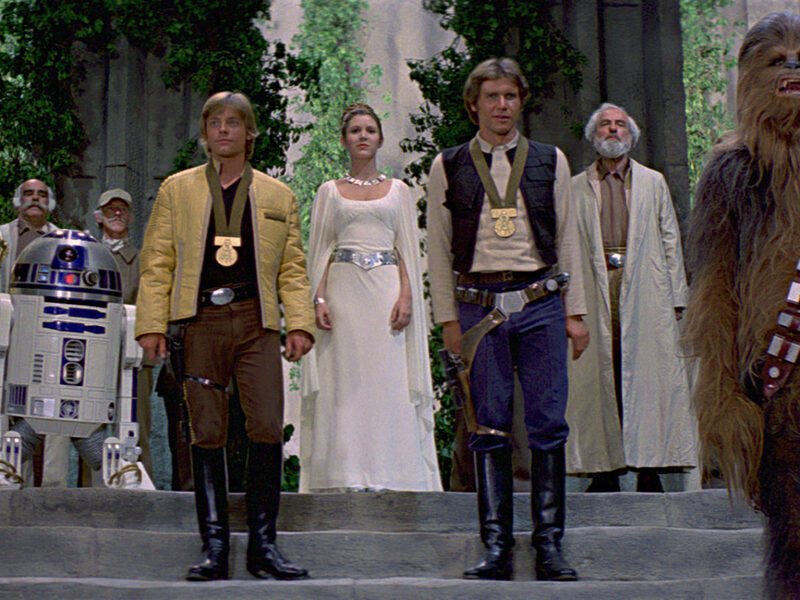 Bonnie Burton: It was an honor and a privilege to be a part of StarWars.com, and I’ll always look back on it fondly. The number one thing I’m proud of, more than anything, was giving an exciting, fun place for fans to congregate and discuss Star Wars so they could connect with people all over the world. I think that’s important, especially in the Internet age, to know that there’s always a Star Wars fan somewhere out there that wants to talk to you about Star Wars, and I’m glad that we could connect people with each other. Dennis VonGalle: It’s been a long trip, coming from just post-Episode I and seeing all the various ways of doing things. Watching our treatment of the franchise mature over the years has been my favorite part. Pete Vilmur: It was certainly an honor and an adventure. I’m glad to have been part of it. You get to really see the evolution of a website for such a major franchise. I only saw it from 2003 up, but I mean, the world has changed so much. I was really glad to be there during the Clone Wars era, because that’s one of my favorite properties from the franchise. So to be there for almost the entire run, short of the last season, was an honor. John Roberts (head of digital media, 2009-2010): Working at Lucasfilm was very surreal. In many ways it was a dream job. I got to work with some of the most creative minds in entertainment and being in that environment was pretty amazing. Steve Sansweet: It was very exciting to see this baby, that basically was born in an era of print, and treated almost like, “Well, this is print, but it’s digital and more people can see it without having to pay for it,” grow into something that has such a reach and has such an influence, and has developed a personality and developed personalities. You know, Pablo being one of the first, Lynne, through the blogs doing the kind of history that only fans could come up with and be interested in about the making of products. There’s nobody that’s really doing that in a focused way just on Star Wars. It just, once again, just shows that after nearly 40 years, Star Wars is such an amazing and important part of the worldwide popular culture, that StarWars.com has grown and really now fits the role that it always should have had. Nicole Love: It was a phenomenal experience and a privilege to work on the team and the brand during that time, being able to engage with the fans in the way we did. Just to be a part of it was thrilling and so rewarding. Pablo Hidalgo: It opened incredible doors, and I wouldn’t be where I am had I not had the opportunity to do the things that I did during the coverage of the prequels, and met the people that I did. You end up becoming the de facto historian for those Lucasfilm years, because you have to capture everything that was happening, and feed it to the world. So as a result you come out of it with incredible institutional knowledge for the rest of the company that depends on you. You carry all these war stories with you, and then I’m able to apply that past knowledge as we go into the future, which is pretty incredible. Matt Martin: It meant a lot, because StarWars.com was a huge part of being a fan as I grew up, since it launched. Basically, because my dad was an engineer and super into tech, I had been on the Internet before the Internet was a popular thing. So by the time StarWars.com had launched, I had already been looking up Star Wars things in message boards, on CompuServe, or whatever. So as soon as StarWars.com launched, it was like, “Yay, there’s a place for me here.” And then after that first iteration where it was really just promoting the Special Editions, when it really grew, and Pablo was writing all of those crazy things, and the prequels were showing pictures, I went to StarWars.com every single day. So coming here and being able to work on that was incredible, not just because I was actually at Lucasfilm working on Star Wars like I had always wanted to do, but I was working on StarWars.com, which was a part of my life, basically. Mickey Capoferri: Years ago, the idea of working here and working on Star Wars was inconceivable, because it seemed like Star Wars was winding down after the prequels. So after I was offered the position, it took a few minutes for my brain to understand what the opportunity was. In the past, I’d mainly worked on one-and-done movie projects. Overseeing the digital Star Wars franchise initiatives was different. It’s more of a committed relationship, and this is what I had always wanted. It’s super refreshing and it’s great to kind of live and breathe something for so long, and more importantly live and breathe in what is, without question, the premiere entertainment franchise in the galaxy. It’s a special thing. Special thanks to Steve Sansweet, Dennis VonGalle, and Anina Walas for their help in making this article happen.